Hewlett Packard provides the IT backbone of the entire Israeli Military and provides the essential IT services and infrastructure that enable Israel's dungeons and torture dens to operate. It helps the Israeli occupation implement apartheid with its biometric access control system at checkpoints and its colour coded ID system. HP also supports Israel's illegal colonies. 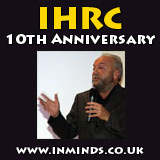 Inminds launched its Boycott HP campaign in Sept 2014 as part of its ongoing Palestinian Prisoners Campaign, and as a way to contribute to the the global stop arming Israel campaign. As part of its campaign Inminds has protested outside HP's London HQ many times, and at HP events like HP World Tour and HP Discover 2015, and at events where HP heads are speaking such as Sustainable Brands 2014 and BETT 2015. To mark Palestinian Prisoners Day, Inminds will hold a vigil on 15th April 2017 on the Southbank of the River Thames in London to highlight the plight of Palestinian prisoners in Israeli occupation prisons, and to demand their freedom. On 18th Feb 2017, Inminds protested on the Southbank to demand HP end its contracts with Israel's prisons, and freedom for British citizen Fayez Sharary and Palestinian humanitarian Mohammed al-Halabi. In a message for the protest, Halabi's father asked HP to stop profiting from his son's torture and imprisonment. On 18th Feb 2017, Inminds will demand HP end its complicity in torture of Palestinian prisoners by ending its Israeli prison contracts. Inminds will also demand freedom for two tortured prisoners - Fayez Sharary and Mohammed al-Halabi. On 27th Jan 2017, Inminds protested at the inclusion of Hewlett Packard at the British Educational show BETT 2017 in London. Hewlett Packard is a company implicated in the torture and killing of children in Palestine.The protest was also in solidarity with imprisoned Palestinian aid worker Mohammed Khalil al-Halabi. On 27th Jan 2017, Inminds will protest outside BETT 2017, at the inclusion of Hewlett Packard, a company implicated in the torture and killing of children in Palestine, at the worlds leading education technology event. The protest will also demand Israel release aid worker Mohammed al-Halabi who has been imprisoned since June 2016. On 9th Dec 2016 Inminds held a vigil outside the Foreign Office to demand that the British government act to free British citizen Fayez Sharary who has been imprisoned by Israel and who according to the Israeli judge's own admission has been tortured and should be released. On 9th Dec 2016 Inminds will hold a vigil outside the British Foreign Office to demand that the British government act to free British citizen Fayez Sharary who according to the Israeli judge's own admission has been tortured and should be released. The protest will also highlight the role HP plays in Israel's torture and caging of Palestinians. On 29 Nov 2016 Inminds, for the 2nd year running, protested outside HP's "biggest event of the year" - HPE Discover 2016 - to demand it end its complicity in Israel's crimes against the Palestinian people. Laila Sharary, wife or tortured prisoner Fayez Sharary addressed the protest. On 29th Nov 2016 Inminds will protest, for the second year running, HP's "biggest event of the year" - Discover 2016 - to demand HP end its complicity in Israel's war crimes. On 4th Nov 2016 Inminds protested in central London to expose Hewlett Packard's (HP / HPE) complicity in Israel's war crimes against the Palestinian people, in particular the torture and caging of children, and to demand they end these crimes. 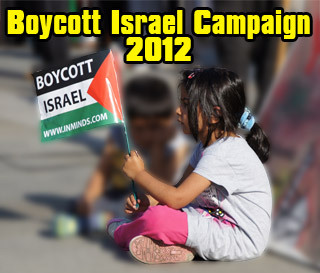 Inminds campaign resources for Boycott HP campaign.. leaflets, placards and banners. On 4th Nov 2016 Inminds will demand that the american multi-national Hewlett Packard ( HP / HPE) end its complicity in Israel's crimes against the Palestinian people, in particular the torture and caging of Palestinian women and children. Protest outside Bett 2015 - Asking HP Vice-President of Education - What of the children you're helping kill in Palestine? Every 60 hours Israel kills one Palestinian child, for the last 14 years! Hewlett Packard, one of the top 20 armament companies in the US, with its $6 billion investment in Israel, provides the IT backbone for the entire Israeli killing machine - from the army, to the navy.. that makes such slaughter possible. Hewlett Packard's Vice-President for Worldwide Education, Gus Schmedien, will address BETT 2015 on 22 Jan 2015. Please join us as we ask him, what of the children in Palestine that HP is helping kill? HP provides and manages the IT infrastructure of the entire Israeli military which killed over 500 children last summer..